Miguel was detained on April 30th, 2015 in Mexico City, for the crimes of aggravated homicide and attempted homicide, accused along with 35 members of the community assembly. He has been imprisoned now for three years and nine months in San Juan Bautista Cuicatlán, Oaxaca. His criminal case has been filled with legal irregularities, grounded in fabricated charges, and sustained by contradictory and implausible testimonies. Regardless, on October 26th, 2018, the Judge of the District Court of Huautla de Jiménez, Juan León Montiel, sentenced him to 50 years in prison and a fine for damages of $151, 134 pesos. He is currently awaiting the resolution of his appeal from the Third Criminal Chamber of the Superior Court of Justice of the State of Oaxaca. 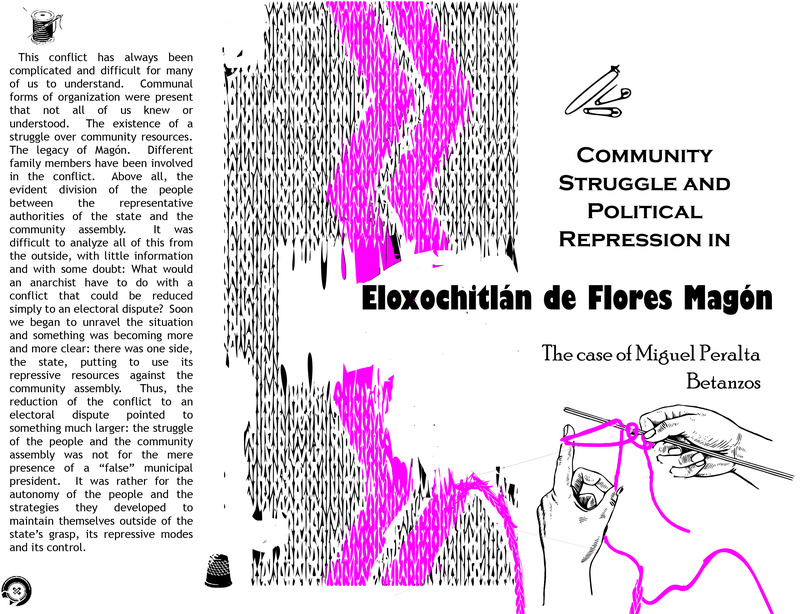 We open this call for artwork to invite you all to participate in generating graphic material in support of the call for the freedom of Miguel Peralta. The objective of the call is to demand his immediate freedom, to spread the word about his case, to denounce the legal irregularities and to pronounce our support for the destruction of the carceral system. The graphic material will be used for digital and print distribution during activities we will be carrying out for the freedom of Miguel. The graphics will be utilized for free and solidarity distribution, and will not be used to obtain economic benefits beyond solidarity actions with our compañero. The deadline to send material is February 28th, 2019. Burn the prisons and the society that needs them!! !